Cyber law is a term that deals with the Internet's relationship to technological and electronic elements, including computers, software, hardware and information system. Simply, the cyber law is the law which is used for stopping computer crime and abuse. Cyber law is important because it helps to control crime related to internet. "The electronic transaction and digital signature Act. - The ordinance " is popularly known as the cyber law of Nepal. The government of Nepal had passed this law on 30th Bhadra 2061 B.S. ( 15th September 2004 ). Electronic transactions act, 2063 was passed by the government in 2008 A.D. (2063 B.S.). Cyber law is a term that deals with the Internet's relationship to technological and electronic elements, including computers, software, hardware and information system. "The electronic transaction and digital signature Act. 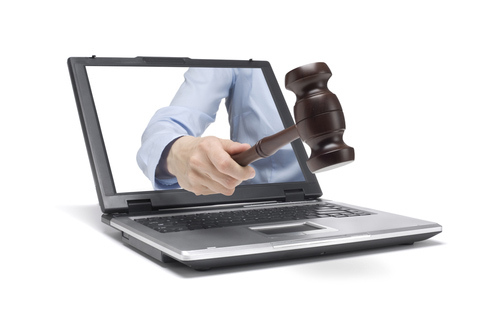 - ordinance " is popularly known as the cyber law of Nepal. Areas of cyber law are computer crime law, data protection law, intellectual property law, digital signature law and telecommunication law. The law which is used for stopping computer crime like hacking, online fraud, software piracy, etc. and computer abuse is known as the cyber law. Why is the cyber law necessary in Nepal? "The electronic transaction and digital signature Act-ordinance" is popularly known as the cyber law of Nepal. It is important in Nepal because it legalize the transaction through electronic media, to control and stop the various types of electronic frauds, to punish a person or institution that does cyber crime according to the nature of the crime. List the major laws included in the cyber law. When was cyber law established in Nepal? Which of the following does not fall under areas of cyber law? A generic term that is concern to the legal and regulatory aspect of internet and computer technology. It helps to control crime related to internet. It helps to increase crime rate. It deals with mechanical elements and control it. Any Questions on 'Cyber Law '?